NEW IN 2019 – A designated Kids Layout Section in the Kids’ Zone. This new section of Trainfest will feature layouts built by kids ages 5-14. Varying levels of skill and detail are encouraged. Older kids will apply their STEAM learnings by creating a model railroad module that links to other modules. CALLING ALL KIDS. BRING YOUR TRAINS TO TRAINFEST! Participation age levels are broken out between elementary (5-10) and middle school (11-14) ages. Program is open to everyone and it’s free. Fun. Prizes. Free Train Stuff. 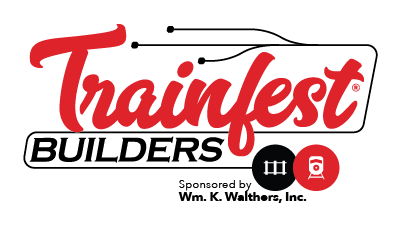 Wondering if your school or club is participating in Trainfest Builders? Email us and we’ll let you know. All participants will receive a Trainfest Builders t-shirt, a Make ‘n Take model to showcase on their layout, and a certificate of participation. Each display will be judged. Categories range from best use of a dinosaur to a best building technique. Prizes and award plaques provided. Plus, participants can receive donated trainsets and scenery grab bags. All participants will set-up their display on the Friday before Trainfest. Then on Saturday and Sunday of Trainfest, all participants will have the opportunity to interact with the public while they run their trains. It’ll be fun! All participants – and their parent/guardian – must be present during all of Trainfest show hours. REGISTRATION IS OPEN THROUGH OCTOBER 1ST. SPACE IS LIMITED. REGISTER TODAY! Your Child Can Exhibit Their Layout! Registration is open through October 1st. Space is limited. Table top displays are ideal and should not exceed 4’x8’. Floor displays are possible and can exceed 4’x8’. All modules need to contain at least one element demonstrating model building. It can be a constructed, painted model building or a piece of scenery. Modules will be joined together to create a large display. Have a question about which category your layout belongs? Don’t find the right category? Just email us. We’ll find the right spot for you! Expert modelers are on hand to help Trainfest Builders build a module or answer questions. On select Sundays between Noon and 4pm at the Lake Park Pavilion Community Center in Milwaukee, expert modelers will be on hand to help Trainfest Builders with their modeling or to answer questions. 2019 session dates: May 19, June 16, July 21, and August 18. Teachers/Leaders are encouraged to attend the May 19 session to maximize student summer participation and learn more about the program. The WISE Youth Group meets most Saturdays throughout the year between 1-4pm at the Waukesha Gandy Dancers Club House in downtown Waukesha. All ages are welcome. (Children need to be accompanied by parent/guardian). Expert modelers at all meets. Come to ask questions on starting a project. Plus varying demonstrations and hands-on clinics are held. Topics include: Benchwork, Scenery, Model Building, and Electronics. Membership in the WISE Youth Group is not required. Event is free. Created for the Trainfest Junior Engineer program for Jr. Engineers who have achieved Stage 2, the “Operate a Home Layout” program is open to registered Trainfest Builders. The home layouts are expansive, incredibly detailed, and provide inspiration at every curve. Operate a Home Layout gives children and their parent/guardian the chance to operate trains with the railroad owner. Layouts are in metro Milwaukee area. Operating sessions are two to four hours and are held on either a Saturday or Sunday. It’s free to participate. Email us for more info. Registration is open through October 1. Space is limited. Register today! Officially, it’s the grouping of Science, Technology, Engineering, Art, and Math academic disciplines to enable children to apply classroom knowledge successfully through analysis and problem solving. At Trainfest, STEAM is more than just having fun with trains. It’s about taking what’s learned in the classroom and applying it to model building. Model Railroading offers a unique opportunity to put all the academic disciplines to work in an integrated project. Electronics to power a train. Math and Engineering to design a layout. Science and Art to build models. Plus it’s just fun! To learn more about a STEAM education, visit Educate Closet and The U.S. Department of Education. Visit STEM FORWARD for a list of greater Milwaukee STEM activities, camps, and resources for educators. WHAT HAPPENS AFTER YOU REGISTER TO BE A TRAINFEST BUILDER? You will receive an exhibitor packet with specific details on move in times and other information. Attend a Trainfest Builders’ Clinic or a WISE Youth Group Meet … or both! Then get to work on the layout. Parents can help their child on the display — unless the layout or module is being completed as part of a school or club project that have rules otherwise.  To participate in the NEW Trainfest Builders area, a parent or guardian must completely fill out and submit the form below. Indicate Club name, Summer Camp name or School & Teacher below selection if one of these have been chosen. I acknowledge that a responsible adult (parent, guardian, leader, chaperone) will be at the layout supervising the child while at Trainfest during set-up on Friday and throughout the Trainfest weekend. I give my child/ward permission to participate in Trainfest Builders. You will receive a confirmation of your registration. Only confirmed registrants will be allowed to exhibit.